Coming off a win Friday over the Olds Grizzlies, the Crusaders were looking to end their brief homestand on a positive note. 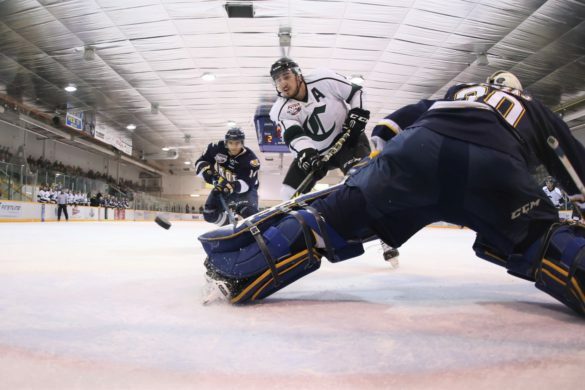 Standing in their way was one of the countries best, the Okotoks Oilers are currently ranked third in the CJHL and boast a roster that oozes talent. Considering what we’ve seen from Sherwood Park throughout the season, it was fair to expect that this would still be a close game. The Cru have a habit of playing up to their opponents and they’ve proven that on multiple occasions this year. With all that being said, it wasn’t the best start for the boys in green this afternoon. This one was all Oilers early on and they got the benefit of a Brandon Vogel slip up just two minutes in. Carter Huber threw a puck on net and Vogel steered the rebound right onto the stick of Tanner Laderoute and the former Crusaders quickly put the visitors up 1-0. Okotoks did find themselves in some penalty trouble in the following minutes and that allowed Sherwood Park to generate some momentum. The powerplay has hindered the Cru recently, but today it was moving the puck well. They got a 5-on-3 and Ty Readman ripped home a perfect wrist shot tieing the game at 1. Even though the shot clock read 19-9 in favor of the home side, it felt like Okotoks really pushed the play and the few shots they got, they made them count. The scoreboard read 3-1 for the Oilers after 20. The middle frame was a much better effort from the Crusaders. They continued to pour rubber onto Ben Howard and they managed to come back from the two-goal deficit. First, it was Dylan Stewart who banged home the teams’ second powerplay goal of the game then with six minutes to go in the period Arjun Atwal walked around an Oilers d-man and fired home an absolute beauty. The momentum they gained from tieing the game was short lived as the Oilers regained the lead exactly 100 seconds later. Despite being down by a goal, the Cru should have felt good going back into the room. They were out working the third best team in the country through 40 minutes. Timely scoring and knowing how to play with the lead is a huge factor is separating good teams from great teams. In the final frame of this game, Okotoks proved that they’re a great team. They extended their lead to two just a minute after the puck dropped thanks to a gorgeous deflection from Reece Soukoroff. After that, they just suffocated the Crusaders attack. After posting up 33 shots in the first two periods, the Crusaders only put two on net in the first 10 minutes of the third. I don’t think this was a case of Sherwood Park not putting forth the right effort, they just simply weren’t the best team on the ice. The Oilers would throw three more in the net, including one that bounced off a station and tricked Brandon Vogel. Dylan Stewart also found a way to jam in his second of the night and 50th career junior hockey goal and Jacob Franzcak scored his second in as many games. Through the first 40 minutes, the Cru skated and competed with the best team in the league. That’s something for this group to hang their hat on. The powerplay really impressed me today going 2/4 and scoring a few big goals to keep them in this game. They only took two trips to the box as well. A good night in relation to the special teams. Arjun Atwal was buzzing tonight, he put up three points and was the hardest working forward. Blair Bush appeared to have a heavier workload than usual and he looked comfortable. He’s only 17, but is projecting well early in his junior career. 40 shots on goal against the 3rd ranked team in the country? Yeah, that’s always a positive. Brandon Vogel wasn’t sharp tonight. He’s going to have a heavy workload going forward and he did fall victim to more than a few tough bounces, but if he’s playing up to his normal standard this is a completely different game. Tanner Ladderoute netted a hat-trick. The former Crusader really burned his former club tonight. 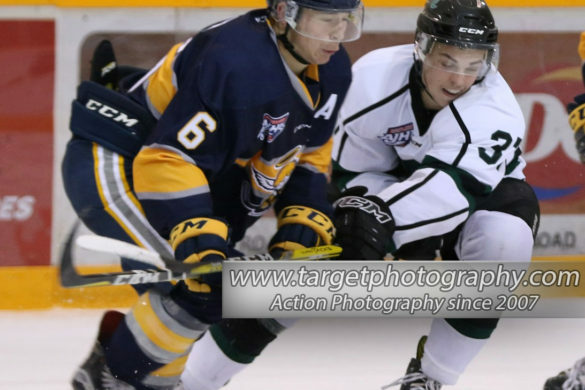 Okotoks pulled away in the third outshooting Sherwood Park 23-7. The Oilers are better, but there’s no doubt the Cru had the wind knocked out of them early in the final frame. 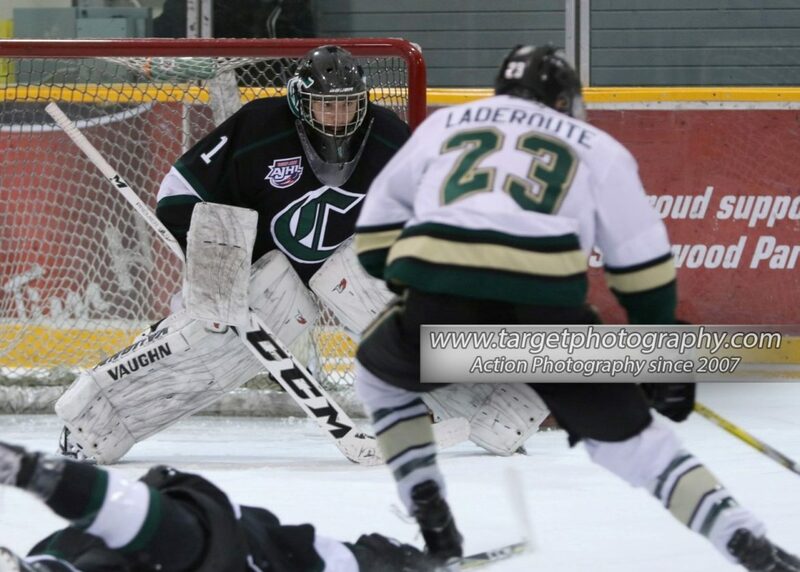 The Cru hit the road for their next four games starting on Tuesday in Camrose. 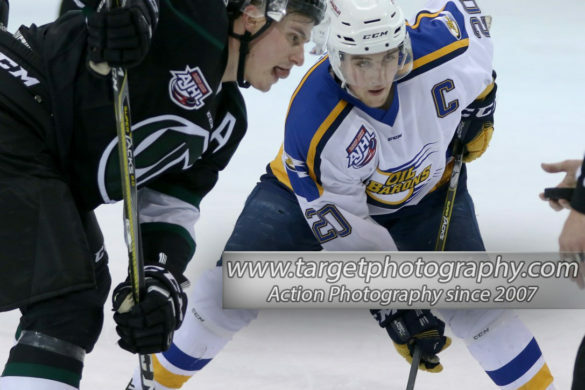 They’ll face a Kodiaks team that’s coming off of a 12-2 win over Calgary this weekend and currently sit in a three-way tie for fourth in the AJHL’s South Division. The puck will drop just after 7 pm from the Encana Arena.